The role of men as it is stated in the society throughout the centuries is to protect the native land and family and find means to support his woman and children. Here is no wonder that the behavioral pattern of men is more aggressive than that of women. All famous creators of weapons and other means of destruction are men. It does not mean, however, that women are not involved in the sphere of inventions at all, it is just that there inventions are more peaceful and are aimed at making the life more comfortable rather than at destroying it. The constructive abilities of some women have brought s bunch of useful innovations to the world. For example, it was a woman who created kangaroo rucksack for carrying babies. In the middle of the twentieth century an American pediatrician Ann Moore worked in Africa where she helped African women to treat their babies. There she learned the technique of carrying the kids in the cloth attached to the mother’s body. When Ann returned to the USA and gave birth to her own baby, she started to carry it in a special rucksack resembling the kangaroo method of the African women. In 1969 she has patented her invention for the great joy of the women who now received an opportunity to use these kangaroo bags and keep their hands free. 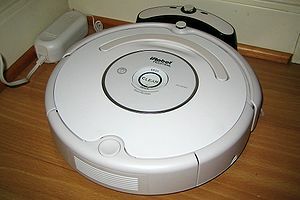 The famous robotic vacuum cleaner ROOMBA was created in 2002 by the group of developers headed by Helen Grener, the president and co-founder of iRobot Corporation. Helen got inspired by the character from “Star Wars”, a friendly robot R2-D2. She studied science and technology but decided to use her knowledge for peaceful purpose of making the house work an easy task to perform. Another woman, Ruth Handler, is famous for creating the first Afro-American doll, Christie. It was launched in 1969 when their appeared a need to liberalize the views of the whole generation. Through games and toys Ruth has achieved the result which most male politicians can only envy. Among other useful inventions of women is silicone which was created by Patricia Billings. She was a sculptor and tried to develop a solid material. In result of her attempts the silicone has appeared. Now this fire-proof material is widely known and used all over the world. All in all, the women’s intention to make the world a better place constantly results in creating new useful things. A good and thoughtful article (a few grammar verb-subject agreement and tense problems, but what the hell, so what? People need to know this stuff you’re writing). Thanks for reminding us women of how important we are to peace and to peaceful inventing. Now if only we could get more men to go along (there are some great guys out there too).